The ability to derive actionable insights from analyzing Big Data is a huge component to success for any telecommunications company. Big Data is typically defined as having an inordinate amount of velocity, volume, and variety of data, which often contains a location element. Therefore, performing a holistic analysis requires location contextualization. We are now working with CARTO to do just that. Telefónica is collaborating with CARTO to add location intelligence to the wealth of data that Telefónica has access to. 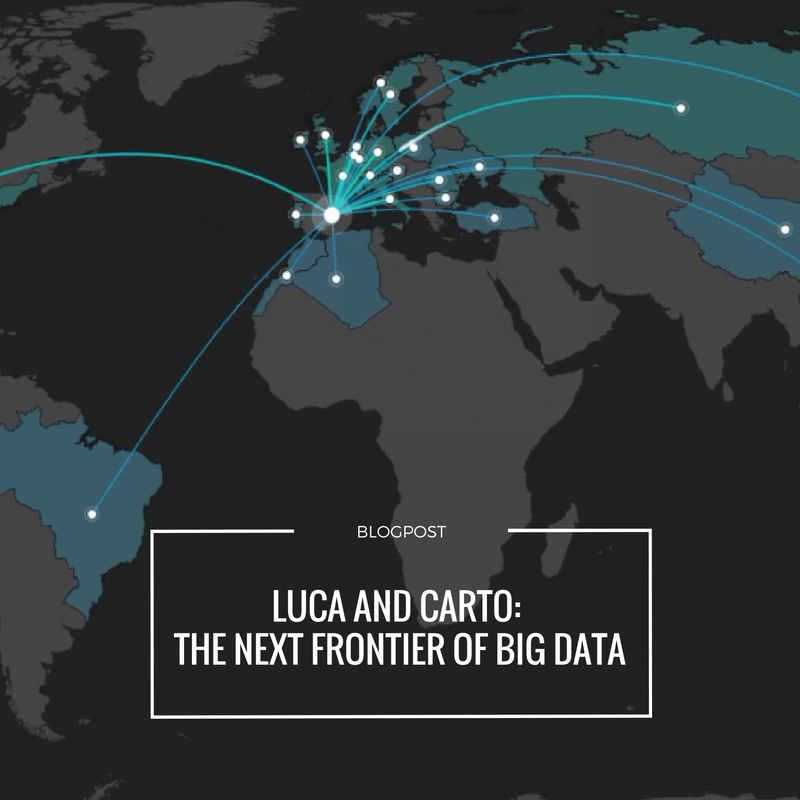 CARTO will work with Telefónica to develop new and integrated products within their newly announced Big Data business, LUCA. LUCA will enable Telefónica’s corporate clients to understand and derive value from their data, encouraging its transparent and responsible use. One of the first examples of the partnership is this visualization showing international and national tourists attraction to Spain, which highlights tourism influx through visual-spatial representation (the more pronounced the point and line, the more tourists). The dashboard enables toggling between countries and temporal settings, which facilitates the descriptive analysis of nearly 90,000 records. Ultimately this data-driven analysis can lead to the simple prediction of when and where tourists are likely to come from in the future, providing valuable insights for businesses and public organizations. Video: One of our Data Scientists shares a Tourism Visualization created in CARTO. CARTO and Telefonica have a rich history of working together on other data-driven projects. For example, CARTO is used as an integrated intelligence layer to illuminate insights from Smart Steps’ aggregated behavioural data collected from anonymized mobile devices. The observation of behaviour based on billions of mobile interactions that occur daily enables analysis to be performed by transport operators, city planners, retailers, banking institutions, and marketers. Telefónica’s development of the FIWARE connector for CARTO, has enabled many European Union cities to access CARTO’s visualization and analysis tools for sensor data, to promote the development of Smart Cities applications based on open standards and open source code. In addition to this partnership and collaboration, CARTO is part of Open Future, which manages the portfolio of investments in startups and entrepreneurs made by Telefónica. Video: What is Telefónica Open Future?